You need to travel Texas in order to experience what this wonderful state has to offer! There isn't enough room on the web to list it all...so we've highlighted a few! 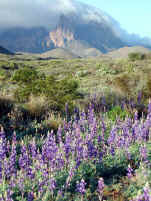 Big Bend is one of the largest and least visited of America's national parks. Over 800,000 acres await your exploration and enjoyment. From an elevation of less than 2,000 feet along the Rio Grande to nearly 8,000 feet in the Chisos Mountains, Big Bend includes massive canyons, vast desert expanses, and the entire Chisos Mountain range. Aquarium, rainforest, discovery museum and more. Moody Gardens is a definite experience on the island! (San Antonio) What can we say? There is nothing like it anywhere...and never will be. Designated a National Historic Landmark in 1986 for its "significant contribution to American history," the Texas Capitol is an impressive example of late 19th century public architecture. The largest in gross square footage of all state capitols, it is second in total size only to the National Capitol in Washington, D.C. Like several other state capitols, the Texas Capitol surpasses the National Capitol in height, rising almost 15 feet above its Washington counterpart. 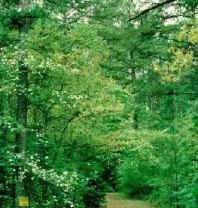 (East Texas) Slow down, smell the Tyler Roses, and enjoy a Bed and Breakfast. East Texas is a wonderful tour!